This sheet music download is free, but I’d love to know how you are going to use the piece! 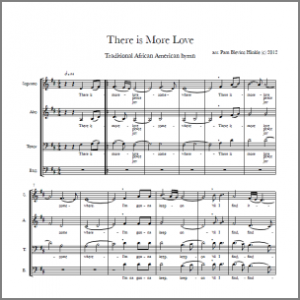 To download the “There Is More Love” sheet music fill out the form below. All fields are required. Your information will not be shared with anyone else. If you indicate your willingness to be added to my mailing list you will receive occasional emails with information on new work or upcoming events. If you have trouble accessing the file, please contact me.